Today, Facebook owned Oculus announced their follow up to the Oculus Rift VR headset, and they’ve decided to make the entry point to Oculus VR much easier to access. 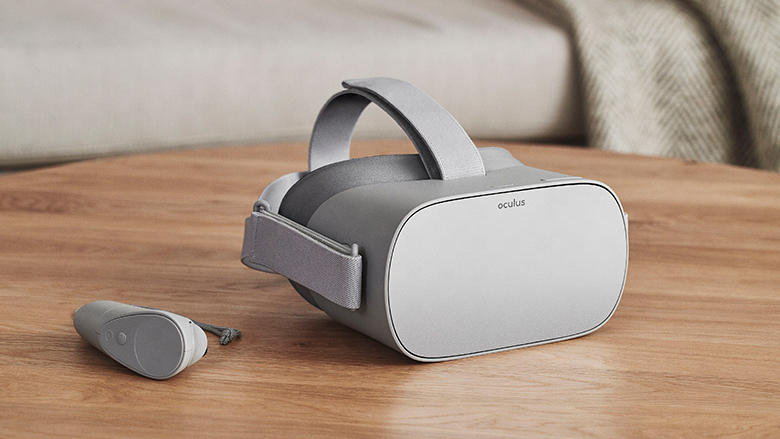 At $199, the new Oculus Go is significantly undercutting the $599 launch price of the Rift, which has seen its own price cut to $399 since it launched about a year and a half ago. 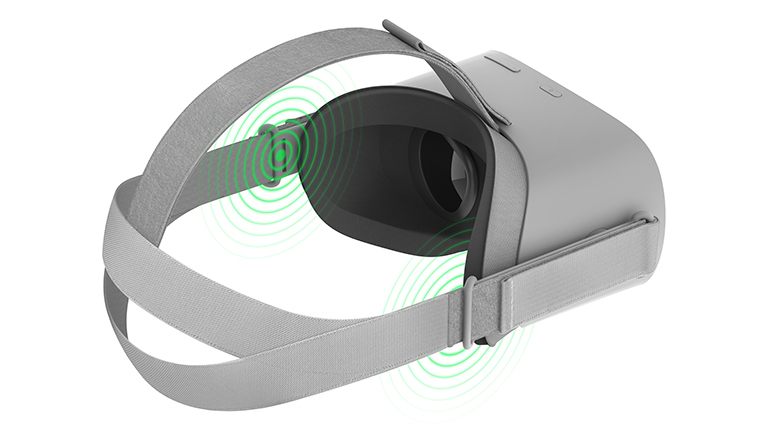 But the Go is not just a less expensive version of the Rift. It’s a self-contained VR system, providing untethered VR capabilities. Despite the lower price, the Go has a higher resolution display than the Rift. The Go features a 2560x1440 “Fast-switch” LCD display, which is a bump up from the 2160x1200 combined resolution of the two OLED displays in the Rift. Fast-Switch likely means a higher refresh rate, but no specifications have been announced yet to see how it compared to the 90 Hz of the Rift. Oculus is also promoting the optical lenses are new and improved for the Go, offering a wider field of view and less glare. The LCD display and new lenses should help with the screen door effect that is present on VR headsets, but we’re still a long way from having the processing power to remove this completely. Oculus Go also includes integrated spatial audio, which is one of the big features Oculus promoted on the Rift when it launched. The speakers are built-in to the sides of the headset, so no extra equipment is necessary. They have had the courage though to add a 3.5mm headphone jack, if you want to listen privately. Go and Gear are "binary compatible" so any apps that work on Gear, should work on Go. It's helpful to have an ecosystem when you're launching a new product. The new headset is made of a new breathable cloth, for improved comfort, and the Go can be used with glasses. Unlike the Rift, the untethered nature of the Go means that it won’t have the full tracking capabilities, but that can be a benefit as well since not everyone has a dedicated location they can leverage VR. At the outset, the Go seems like a well priced, capable VR headset, and although it won’t have the gaming potential of a full PC behind it, the capabilities of a smartphone SoC have been improving dramatically over the years. Unfortunately Facebook / Oculus hasn’t announced what is actually powering the Go, so we’ll have to wait and see how much performance they can get for $199. Tomshardware is reporting it's a Snapdragon 821. The Oculus Go ships early next year. This is way better than Smartphone + Cardboard/Daydream/Gear VR for those that wanted a cheap alternative. The problem with Daydream and Gear VR is the phone is too expensive. Aye, this is the problem with VR at the moment. The tech, at least the earliest tech, is there. But it's just too expensive. Proper hardware is expensive as hell, making software for it expensive as hell, having room for it even is expensive. Or goodness, just being able to do VR based tourism where you can genuinely feel like you're experiencing a bunch of places/museums etc. (Imagine a hypothetical art gallery where they could hang *everything* in their collections.). So they bumped the resolution and possibly even the refresh rate up, but are now dependent on a mobile SoC that runs at 5 watts, using an Adreno 530 that in max configuration can barely push half a Tflop? Aren't you referring to StarVR? Snapdragon 821 is a red flag. The desktop version needs a GTX660 to power it, using a mobile SoC will provide a poor user experience and scare off early adopters.